I know that the Lord has a plan for us. I know that He is strong and in control. to us as we seek to serve Him. As we've been in this waiting season, however, there have been trials and frustrations. Culture shock has taken hold of us yet again (especially me) and thrown us for many a loop. We've had ridiculous arguments, difficult times at work and our fair share of sickness and ailments in this season as well. I have in the Lord right now. My great and mighty, love-filled Father, who disciplines us in perfect grace in order to treat us as TRUE children (Hebrews 12:7-8), has given to me an important reminder. 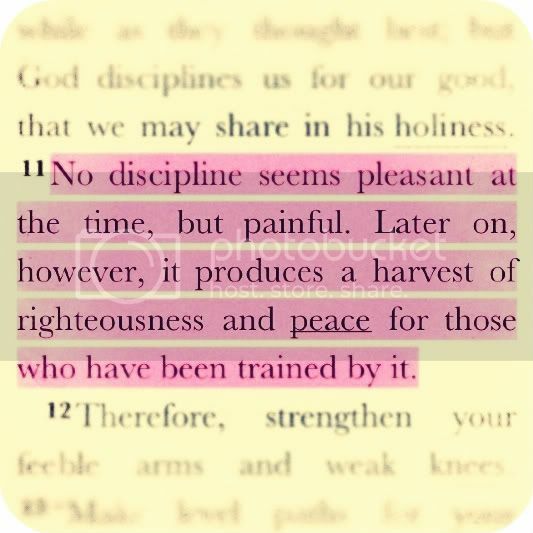 in order to reap a harvest of Your righteousness and peace!